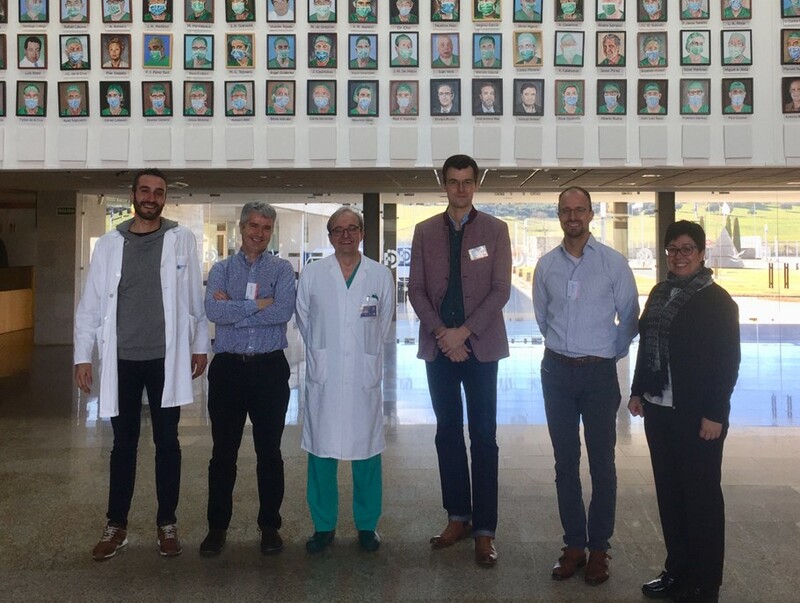 On January 23-24th a two-day meeting between NANBIOSIS and Stryker Trauma GmbH, took place at the Carlos III Health Institute, in Madrid, to explore synergies and potential joint initiatives. Nils Reimers and Robin Buescher from Stryker, presented some of their research and upcoming projects in the field of trauma medical devices, and representatives from NANBIOSIS’ units -Marisa González from U16 Surface Characterization and Calorimetry Unit, Teresa Galán from U7, Nanotechnology Unit, Gemma Pascual from U17 Confocal Microscopy Service, from CIBER-BBN, Marisa García from U28 (Bionand) and José Francisco Guillén and Francisco Sanchez Margallo from the units of the Jesús Usón Minimum Invasive Surgery Center (CCMIJU) , together with Jesús, Izco Executive Director of NANBIOSIS and Ramon Martínez, Scientific Director of CIBER-BBN- explained their technologies. The second day, the meeting location was moved to the CCMIJU in Cáceres, to visit the Center facilities and continue conversations. All attendees expressed their satisfaction with the development of the meeting and agreed to continue with the explorations in forthcoming meetings.